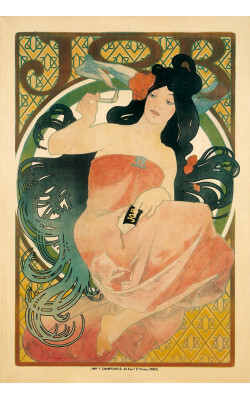 Mucha made two promotional posters for JOB cigarette rolling paper, both featuring a woman with exce.. 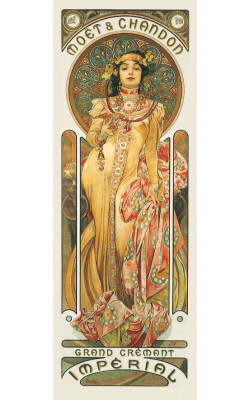 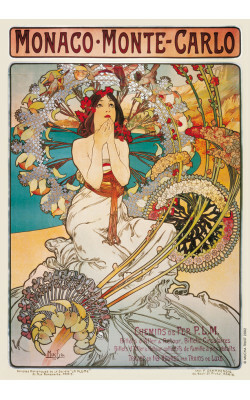 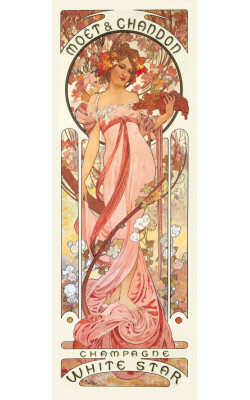 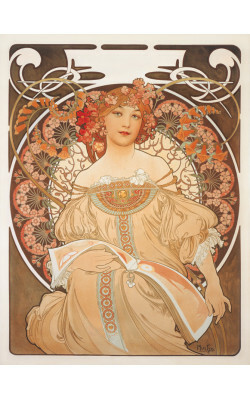 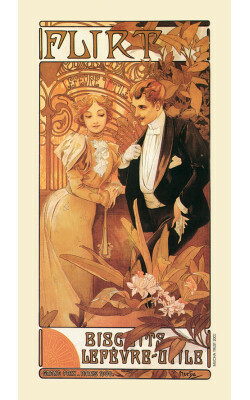 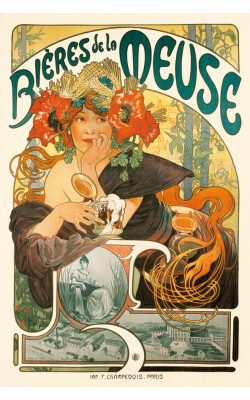 In this poster for luxurious holidays on the Mediterranean coast, Mucha combines realistic figurativ..
Like Zodiac, this lithograph was originally designed to serve as the 1898 Champenois company calenda..
One of Mucha’s most popular designs, Zodiac was originally made for Champenois as an 1897 in-ho..
Mucha’s advertising posters reflect the rich texture of modern life in fin-de-siècle Paris. 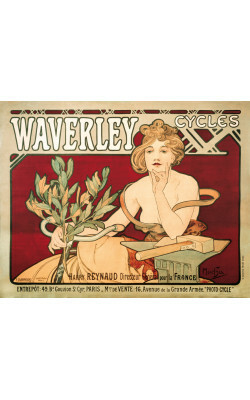 The subjects range from cultural events and railway services to diverse consumer products such as perfume, cigarette paper, beer, champagne, chocolate and biscuits, as well as bicycles. 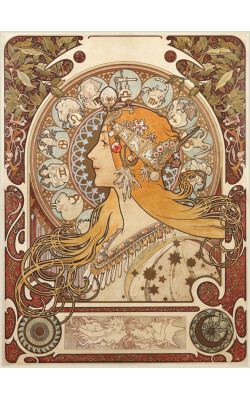 For these posters Mucha developed a new style from the Gismonda prototype, featuring a single figure or the head of a seductive woman against a halo-like disk, which is arranged harmoniously with flowers and other decorative motifs. 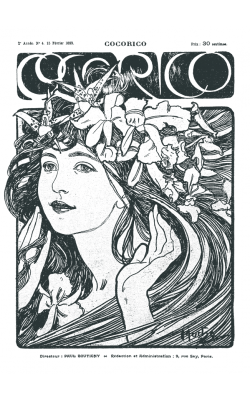 In his design the image of a woman was used strategically as a medium for communication, first to draw potential consumers’ attention with her feminine beauty and then to send an alluring message about the product she was representing.